What is a Ring Bearer? The ring bearer is usually a small boy or a girl, aged 4 to 10, who holds the rings and walks down the wedding aisle (right after the groomsmen & bridesmaids, and before or after the flower girl), carrying a ring pillow with the wedding bands, which he'll afterwards give to the best man or to the maid of honor. TIP: The ring bearer is not the same with the page boy or the coin bearer. All of them are important during the ceremony, but they have slightly different roles. Keep reading and you’ll discover what everyone does. What is a ring bearer’s role & why do you need one? The ring bearer's role is to guard and carry the wedding rings on a ring bearer pillow or in a box, and take them to the altar before the flower girl, who is introducing the bride. In most cases, the ring bearer keeps fake rings on his pillow (especially if he is too young to be trusted with gold wedding bands), while the real ones are kept safe by the best man, who could give them to the ring bear right before he starts walking down the aisle. One thing is for sure: beside the cuteness factor, history gives this tradition a lot of meaning and symbolism. The ring bearer's meaning is to strengthen the commitment between the bride and the groom. By carrying the wedding rings down the aisle, the ring bearer assures that the rings are handed to the couple so the new bond is successfully made without any obstacles. How to choose your ring bearer? Picking the ring bearer could be a tough job, especially if you have lots of family members with young children. So how do you choose your ring bearer? Keep in mind that is common to firstly look on your family members or ask your relatives, but of course, is not a rule. Who picks the ring bearer: the bride or the groom? If you already have a child or a young family member, he is perfect for this role. If not, you can always pick a nephew, a cousin or a friend’s kid. Or all of them, so you can have a happy crew of little attendants. A boy or a girl: Who should be your ring bearer? It doesn’t matter if you choose a boy or a girl as your ring bearer. You probably picture the ring bearer as a boy, because at almost every wedding a boy takes this role. But if you prefer a girl or you can’t find a boy suitable for the ring bearer role, don’t worry! The tradition is flexible, so the ring bearer doesn’t necessary need to be a boy - the important thing is for the role to be performed right. So, if you have a girl which meet the criteria of age, then you can pick her to be your ring bearer. She has to carry the rings exactly like the boy would. The only difference is the outfit, that can be a dress matching the flower girl or everything that fits in the wedding theme. How old should a ring bearer be? Ideally, a good age of the ring bearer is between 4 and 10, but this depends on the marrying couple’s preferences. But don't let that stop you from giving those roles to someone younger. The general advice is from 4 to 8 -this an age cut off limit because of the risk factor. In the past years, it become quite a trend to see baby boys or baby girls fill in the role of a ring bearer. What is too old for a ring bearer? If they're older than 8, they're probably more respnsabile and can fill the role of a junior groomsman. Ushers is a category designed to create a special place in your wedding party for kids who are too old to be flower girls or ring bearers (4-8 years old), but too young to participate in all of the rituals of the adult honor attendants. If you’re not sure how old your ring bearer should be, take into consideration that, traditionally, the age of the ring bearer is between four and ten years old. That is because the kids from these categories could walk and be able to perform their role in a smooth way. If the ring bearer it’s younger than four, probably the duties will be a bit harsh for him. When you want even your bigger relatives, over 10 years old, to be involved in the wedding, keep in mind that is better for them to be junior groomsmen. This way you will help them enjoy more this event, without getting bored, but not be overwhelming by the tasks of a casual groomsman. Even if your little ring bearer is just a baby, it doesn’t mean that you can’t involve him in the wedding. With a little bit of help, he will successfully complete his role. Have his parents to hold his hands or carrying him in a mini nice wagon, that you can decorate with flowers and also a written sign with the popular „Here comes the bride”. He can stay there with the flower girl if she is also so young and other older ring bearer/s could pull the wagon. For sure it will be fun and they’ll be guests’ delight! 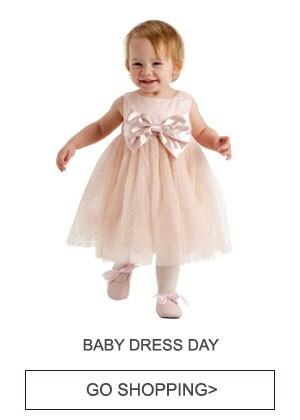 Check out our cute collection of infant baby ring bearer outfits! At age of 2 or 3 the baby is probably walking, so is most likely that he can go down to the aisle on his own. Just be aware that someone, for example, his parents should be there with him at the beginning and at the end of the aisle to guide him. Also, one adult can watch him on his way in order to help him if needed. TIP: Don’t expect for the toddler ring bearer to be perfect to this role. Assume that, according to his age, he will probably put a fuss or fall until reaching the end of the aisle. Check out our adorable collection of toddler ring bearer outfits! The kids between 3 to 5 years old are better walkers and they are more emphatic when you give them something to do. So if you pick a ring bearer from this category of age you can be more relaxed. To help him be a successful ring bear, make sure he will remain focused and will not be bored. So take his favorite toy in order to keep him distracted for what’s going on so he can still have the good energy when his big moment arrives. Six to ten years old is appreciated as the best age category for a kid to be a ring bearer. That is because he can stay focus longer and he has a more developed sense of responsibility. So he will try to complete his role as best as he can to thank the couple and show to the guests and his parents that he is a little man already. Can a ring bearer be 10 or more? Ten is the usual limit of age to be a ring bearer, so if you pick someone that is older (no more than 15 years old), you can give him the role of a junior groomsman or usher. As a junior groomsman, he will have to walk down the aisle and stand up on the groom's side together with the other groomsmen. If he will be an usher, the main job will be to receive the guests and help them find their seats when they arrived at the ceremony. 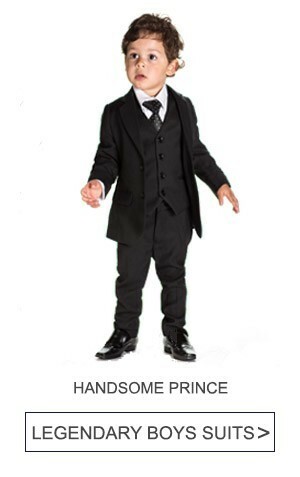 Check out our lovely collection of junior groomsman outfits! How many ring bearers can you have in a wedding? Do you have trouble choosing just one ring bearer? Don’t worry, you can pick 2 or even 3 ring bearers. Make sure each of them has something to do during their walk on the aisle, so nobody will get bored or upset and all of them will feel important. In terms of clothes, pick for all of them the same outfit, (just different sizes) or different outfits, preferably matching the style. The important thing is that the attire fits the wedding’s theme! Two ring bearers mean that both have to be engaged, so don’t let them hold the pillow together because probably this could be really uncomfortable and they would look a bit clumsy. Instead, one can carry the bride's ring and the other carries the groom's. If you end up having three ring bearers, it’s common to have them holding a sign with "Here comes the bride" or other personalized message that announce the bride’s entrance. Also, you can have two of them holding the sign while the third one could keep the pillow with the rings. Another scenario could be that you have too many members family that fits the ring bearer role, so the best that you can do is find everyone a spotlight on the wedding day. Choose 1 or 2 as ring bearers and to the other, you can offer the role of a page boy, a coin bearer or a program attendants. The page boy is mostly seen in the more sophisticated weddings or at British royals ones. His role is quite simple, but not less important. He should carry the bride's train when she gets down the aisle and while this could be a bit heavy and difficult to hold, the preferred age of a page boy is around seven. You can also choose to have at your wedding, a coin bearer. He is a young boy who has almost the same job as the ring bearer. The difference is that the coin bearer is not bringing the rings, but silver and gold coins to the wedding couple. They could be placed also on a pillow or in a box and they are a sign of celebrant’s blessing so a lot of couples pass them down to generations. And if you still have some of the family kids to choose from, the program attendants are the right role in which they can be involved during the wedding. They should simply distribute the programs to each guest, greet and smile. Tough, is better to choose as a program attendants older boys because they can be more serious and responsible. When & where did the ring bearer tradition start? Seeing the ring bearers at weddings walking down the aisle seems that was like that always. But when & where did this tradition start? Here are different stories depending on traditions from different countries. Some say that Ancient Egypt was the first place where the ring bearer first performed. They used to display jewels on a rare pillow, with the difference that they were carried by adults, not by kids as it's the case nowadays. In the Medieval Era, a young child had a similar role to what a page boy does nowadays: carry the bride’s train and hold a book of prayers. Usually, the rings were kept on the tip of a sword. Later on, rich families replaced the sword with a pillow, to show off their wealth, so the page boy became a ring bearer. Finally, the Victorian Era was the time when the trend of ring bearer became more popular worldwide. During the history, the outfits for the ring bearer were diverse, from the white lace collar and sash to the velvet jackets and short trousers to the still modern tuxedo. Ring bearers need formalwear too. In the winter, you can dress them up in a mini tux. In the summer, you can always pick a nice suit vest, a linen shirt or even a sailor suit. What does he or she wear traditionally? Usually, the boy is wearing a suit or a tuxedo, in gray, navy blue or ivory, according to the wedding’s theme. He also used to wear a white lace collar and sash, but obviously that trend is dead and buried. Today ring bearers sport a tuxedo just like those of the groomsmen and groom. When it comes to ring bearer’s clothes, the most popular outfit is a suit or a tuxedo for an elegant look, very suitable for this event. The colors are usually shades of black, white, gray, navy blue and tan, but of course, you can mix them up -- just be sure that they are matching the wedding theme. There's plenty of styles for the ring bearer, from the mini-groomsmen to more casual looks. So if your little one has the honor to be the chosen one, take some time and choose the right clothes for a perfect ring bearer look! Traditional ring bearer outfits are satin and velvet suits in dark colors like navy or black. For a unique ring bearer look, make sure you choose the right size and style. Here you can find lots of inspiration for outfits that are suitable for the ring bearer according to his age. For the girls in the role of ring bearer, you can choose an outfit similar to the flower girl. Have a look at our top flower girl dresses in 2017! When the ring bearer is still an infant, his outfit has to be as comfortable as elegant. Try to choose a soft and warm material and also pay attention to the size, because you don't want it to be either too large or too small. TIP: Choose the ring bearer outfits carefully! The little ones are very moody so they can start crying in the middle of the ceremony if they don’t feel well in the outfit. White Romper for Baby Boys - Get it here! Ring Bearer Suit - Get it here! Tuxedo for Little Ring Bearer - Get it here! He will probably be in a wagon pulled by older ring bearers, so it will be a good idea if he will fit in the decor of the wagon. Keep the outfit simple and neat. With mini rompers or tuxedo, you can never go wrong! Suit for Ring Bearer - Get it here! Vest Pant Suit for Boys - Get it here! Around 3 years old, the ring bearer can already walk on his own, so he can wear a mini suit with a cute and elegant bow tie or a tie that can match the flower girl dress color. He’ll look adorably handsome! Little Boys Suit - Get it here! Vest & Pant set for boys - Get it here! Little Boys Set for special occasion - Get it here! You can always choose a tuxedo for your toddler ring bearer -- usually, it's a set with pants, a jacket, a vest, a shirt, and a bowtie. So it’s not only elegant but also practical, because the ring bearer can wear just one of the pieces, depending on the weather and occasion. Fortunately, all of them are suitable for a wedding. The tuxedo outfit will have him looking his unforgettable best! White Tuxedo for Ring Bearer - Get it here! Black Tuxedo for Ring Bearer - Get it here! A common look for the ring bearer is an outfit with suspenders -- that is because they are cool and comfy. Mostly worn with a bow tie, you can add a cap or hat and a long or short shirt. Either way, the suspenders will add an instant vintage look to his outfit! Suspenders Short Pant - Get it here! Suspenders Pants and Hat set - Get it here! Between 4 and 8 your ring bearer can wear a proper suit. That will add a classic touch to his look and will make him take hius role more seriously. Colors like black, navy or ivory are perfect for this outfit. TIP: Be sure that the suit is not too large or too tight -- that can feel really uncomfortable for the ring bearer or make him clumsy and ruin his moment. For sure you don’t want that! Suit for Big Boys - Get it here! Formal Set for Boys - Get it here! Black suit for boys - Get it here! In case you don’t find a suitable suit for your ring bearer, don’t forget a tuxedo is a special piece for a wedding that is never out of class. Ivory Tuxedo - Get it here! Black Tuxedo suit - Get it here! As we already pointed out, the kids from 10 up to 15 are the best fit as a junior groomsman, so the outfit has to be chosen accordingly. The best clothes to wear are the ones matching the others groomsmen. A suit that combines black, gray and white is always a good choice! Black&White Tuxedo - Get it here! Gray Suit for Big Boys - Get it here! Make him much ready for the party with a pair of pants and a shirt. Try to add a vest instead of a jacket and he feels more comfortable and ready to dance. Shirt for Big Boys - Get it here! Gray Pants and Vest Set for Boys - Get it here! TIP: No matter what outfit you choose for your ring bearer, a tie or a bowtie are always must-haves for a wedding! If your ring bearer is not happy and comfortable with a suit or a tuxedo, find something more suitable for him. You can always opt for a more casual look, so a t-shirt with some elegant, but comfy pants will be just perfect! Another good option for a casual attire will be a funny ring bearer t-shirt or a tuxedo t-shirt that will keep the ring bearer look elegant but feel freer. A casual outfit for the wedding is suitable for a more energetic kid. The ring bearer could take off his vest or his tie and still look cool. If your wedding has a vintage or rustic theme, choose your ring bearer a pair of jeans or casual pants and an easy shirt with suspenders. Vintage outfit for Ring Bearer - Get it here! Tie and Bow tie set - Get it here! Blue Jeans - Get it here! For a country theme, don’t forget about booties and a cowboy hat. TIP: On a rustic or vintage wedding, accessories are important. Pick your ring bearer a cool belt, and a cap or a hat to make him stand out! Does ring bearer have to match groomsmen or the flower girl? Though a matched up outfit will look spectacular, it's not a general rule that the ring bearer has to match groomsmen, neither the flower girl. It is up to you and the wedding couple! And if you decided to match their outfits, then have no fear! Choose a tuxedo or a suit and the ring bearer will look as a mini version of the groom so he will probably steal the show. Matching the styles of the ring bearer and the flower girl could be a bit difficult because the flower girl mostly wears a dress. Try to find the same colors and patterns for both or you can match the tie/bow tie or the rest of the ring bearer outfit with the flower girl dress. Pink Vest for Boys - Get it here! What shoes are right for a ring bearer? To complete the look of the ring bearer, he will surely need proper shoes. A general rule is that the shoes have to match the outfit and be comfortable. Be sure your ring bearer is used to the shoes before the wedding day, so he will not be grumpy about wearing them. A little bit of hill will not be a problem, as long as the shoes are comfortable. It's important to choose shoes that are less elegant and comfier in order to help him complete his role without a headache. Black Shoes for Boys - Available here! For the baby ring bearer, soft sole shoes or booties are perfect -- they are light and offer freedom for your baby’s feet. Baby Boy Shoes - Available here! Even if it’s summer or the wedding is on the beach, to avoid any accidents, don’t let your ring bearer go barefoot. The mission of choosing the right ring bearer outfit could be a bit discouraging if you don’t plan ahead. Make it easier by writing down all the details about how the ring bearer attire should look like. 1. Choose the outfit together with your ring bearer and the parents. The ring bearer’s parents will always have a say on his wedding attire. So consult them and afterwards talk with the ring bearer, as well. If you respect his or her preferences, the ring bearer will be more excited about the new role! 2. Shop together online. The little ones usually have less patience than adults, so keep that in mind when you want to buy your ring bearer outfit together. The shopping store won't be the best option because you’ll have the kid bored. The best option is to shop together online -- it is faster and you can see what kind of attire he prefers. 3. Pick the right size and length. Make sure none of the clothes are too long or too short, neither too tight or much larger than his normal size. Otherwise, they can get clumsy and ruin their important moment. 4. Take into account the age. Besides the right measurements, the attire has to match your ring bearer’s age. Pick clothes that are appropriate for young kids, suitable for weddings, but at the same time, not too serious. 5. Choose comfortable materials. 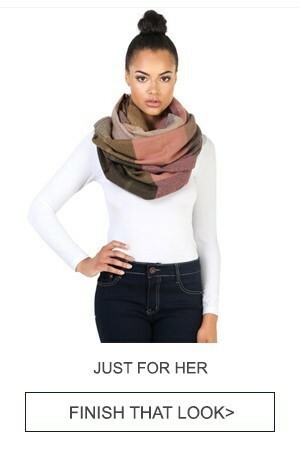 Most of all, the outfit has to be comfy. Pick fabrics as silk, velvet, wool, denim or everything that is soft and doesn’t harm your kid’s skin. 6. Match the outfit with the wedding theme. Since the ring bearer is one of the special guests, his look should fit the wedding's theme. If the wedding has a rustic theme, try to find an outfit that is more casual, as a pair of jeans and a linen shirt, or if the theme is more elegant, go for a suit or a tux. 7. Don’t forget about the weather. Choose the ring bearer attire according to the weather. Even if all weddings secretely hope for good weather, if you know it's going to be a cold day, dress him up accordingly. For a hot summer wedding make sure your ring bearer has light linen clothes that let their skin breathe. 8. The perfect time to buy the attire. The best time to shop for the ring bearer attire is up to 2 months before the big day. You’ll have time to return the clothes if they are not the right size or make adjustments if needed. Do not buy the outfit more than 6 months in advance, as kids grow fast, so your ring bearer can outgrow the attire. What is the ring bearer pillow & box? If you are not too familiar with weddings, you may wonder what is the ring bearer pillow or the ring bearer box. Nothing simpler: the ring bearer pillow is the pillow where the bearer carries the rings down the aisle. The alternativeis the ring bearer box that has the same purpose, so it only depends on the couple’ preferences which one will be used. Ring Bearer Pillow with pearls - Get it here! Burlap Ring Bearer Pillow - Get it here! Both are sustaining the rings so they highlight the symbol of the bond between the married couple. Because it is a special object, usually, the ring bearer pillow is decorated with pearls, festive ribbons or glitter and it is made of satin, burlap lace or silk in order to stand out. 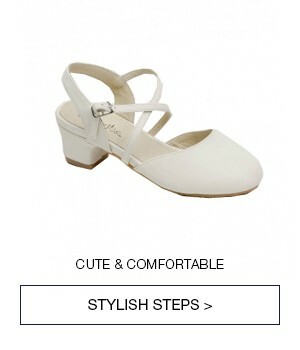 You will find them mostly in white or ivory color. Most of the ring bearer boxes are made of wood or glass with the bride and groom names or a special message for the wedding day. What size are ring bearer pillows? You have a lot of options when it comes to buying a ring bearer pillow. Keep in mind that, besides materials and decorations, the size of ring bearer pillow is also important. So choose a ring pillow according to your ring bearer's age and allure. You don’t want your ring pillow to make him look awkward because it is too small or too large. Who pays for the ring bearer's attire & ring pillow? After picking your ring bearer, you may wonder who is the one who pays for his attire. Usually, as it happens with the flower girl and the other little attendants the answer is their parents. They are the ones who also pay for other accessories, transportation, and hotel accommodation if arriving from out of town. The wedding couple pays only for the ring bearer pillow. Discuss all these details with the kid attendant’ parents when you propose for their little one to be your ring bearer so everything will be clear from the beginning. As a couple, if you have something specific in mind, you can buy the attire for your ring bearer as a gift. What are the Ring bearer’s duties & responsibilities? The main job of a ring bearer is to carry the pillow with the wedding rings while he’s walking down the aisle. He carefully deliveres and handles the rings to the best man and the bridesmaid that pass it to the couple, so a new bond can be created. Carrying the pillow is not the only duty the ring bearer has to do. Other responsibilities of the ring bearer imply that he will be present in all the photographs and he will sit with his family at the reception. Additionally, he could dance with the flower girl during the wedding party. When does the Ring Bearer walk down the Aisle? The time when the ring bearer walks down the aisle is not always set in stone. He can walk down the aisle just before or just after the flower girl, or even alongside with her. When the ring bearer is very young, it is better to let him walk together with the flower girl. This way they can support each other and their role will become easier and more entertaining. Before the big day, you have to make sure that everything is well planned. First of all, make your ring bearer aware of his role and what implies. The best way is to buy a special book about being a ring bearer that you can handle him right before he accepts this great honor. This way, you make everything simpler and you’ll have him more excited from the very start. Invite your ring bearer to attend the rehearsal to have time to practice and accommodate with his role. He will feel more familiar with the entrance, with his walk and he will be more prepared to successfully complete his duties. Pay attention at the ring bearer pillow or box in order to not be too small or too large, to avoid any inconvenience for your little attendant. If he'll carry the real rings, make sure you tied them to the pillow with a ribbon and explain properly that he has to pay extra attention to not loose them. Finally, the big day is here! So you have your ring bearer ready for his special moment. After the ceremony and his walk down the aisle, depending on the couple desire, he can sit down along with his parents in the front row, especially if he is still very young. If he is older than 7, then he can easily stand together with the groomsmen besides the bride and the groom. Of course, your ring bearer can be the center of attention even after his big moment passed. So at the wedding party, he could dance, smile and most important, eat cake and pose for photographs with the newlyweds. The ring bearer has an important role at the wedding, so make sure you show him your appreciation. After the wedding say thanks with a nice gift that he can keep as a sweet memory. Pick something simple from the heart as a toy, a book, a cool t-shirt or a nice souvenir that will remind him of the wedding day. Now that you're fully prepped on how to choose your ring bearer, their duties & what they should wear, remember to always be at their side and give them plenty of encouragement. Discover our newest collection of cool ring bearer tuxedos, suits on a budget under $40, ring bearer pillows and belts & suspenders for THE perfect ring bearer attire!